According to reports, Boston lefty Eduardo Rodriguez will likely make a rehab appearance in Portland. On Wednesday, the Sea Dogs gets five hitless innings from Dedgar Jimenez and recover after blowing a 5-1 lead. 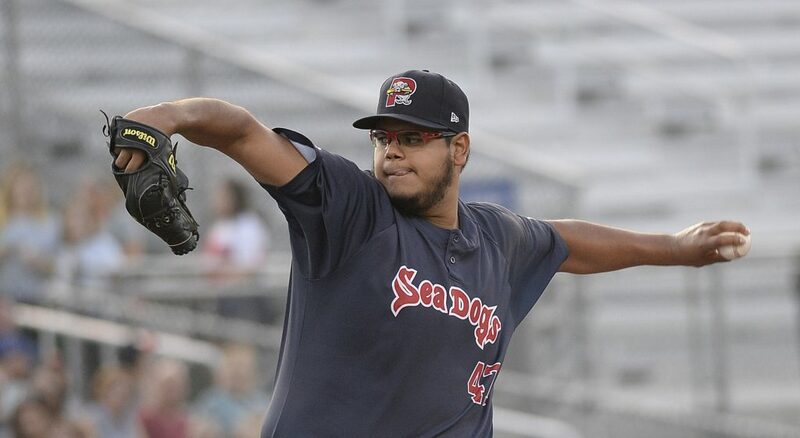 The Portland Sea Dogs will likely have Red Sox left-hander Eduardo Rodriguez start for them on Monday, on a rehab assignment. Meanwhile, the lefties in the Sea Dogs’ starting rotation are doing just fine. 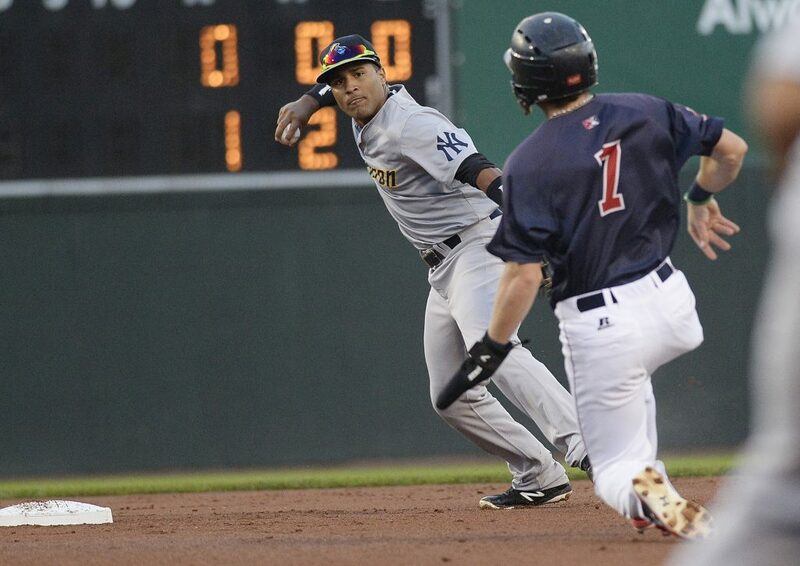 Dedgar Jimenez threw five no-hit innings Wednesday night against the Trenton Thunder, and Portland pulled out a 6-5 victory at Hadlock Field. Jimenez was effectively wild, mixing his 90 mph fastball and low 80’s slider. He allowed no hits and no runs, but walked four. He also struck out six, throwing 92 pitches (50 strikes). Jimenez, who did not get a decision, left with a 3-0 lead, courtesy of Bobby Dalbec’s RBI double to left field in the first inning and Chad De La Guerra’s two-run double to left-center in the second. In the sixth, reliever Jake Cosart allowed an unearned run when Dalbec misjudged a pop-up at third base. 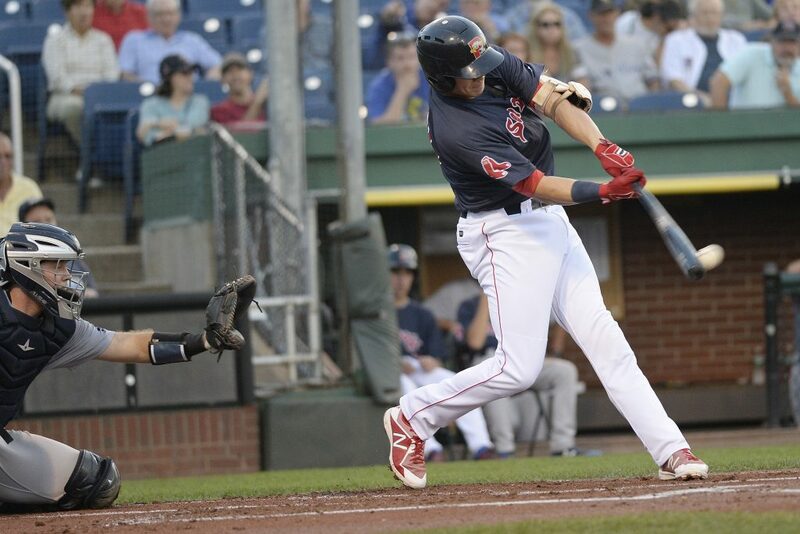 The Sea Dogs answered with two runs in the sixth on Deiner Lopez’s double down the right-field line, but Cosart did not retire a batter in the seventh and left with the score 5-2 and the bases loaded. Trey Ball (3-3) relieved and allowed a sacrifice fly and an RBI single. In the eighth, Ball gave up an unearned run, tying the game at 5-5. 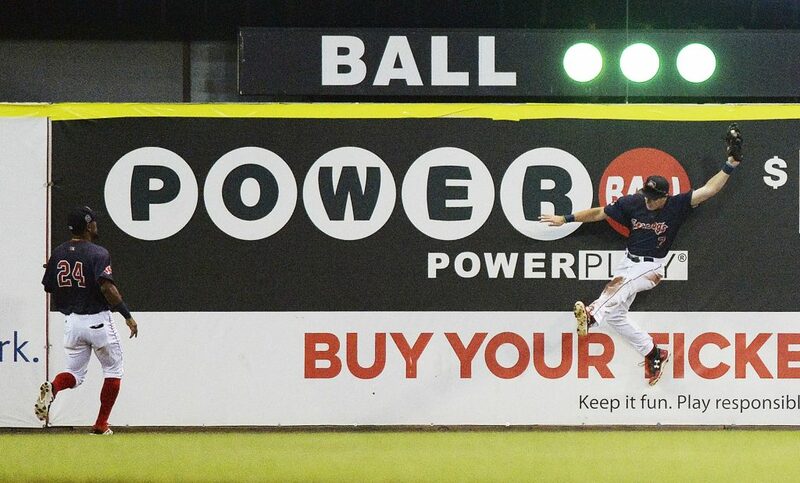 Portland played small ball in the eighth. Jhon Nunez walked and was sacrificed to second by Danny Mars. Nunez reached third on a wild pitch by Matt Frawley (1-1). 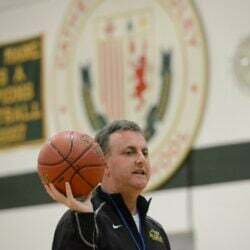 Phillip Diehl relieved. With the infield in, Lopez smoked a hard grounder that third baseman Mandy Alvarez could not cleanly handle, and Nunez beat Alvarez’s throw home for a 6-5 lead. 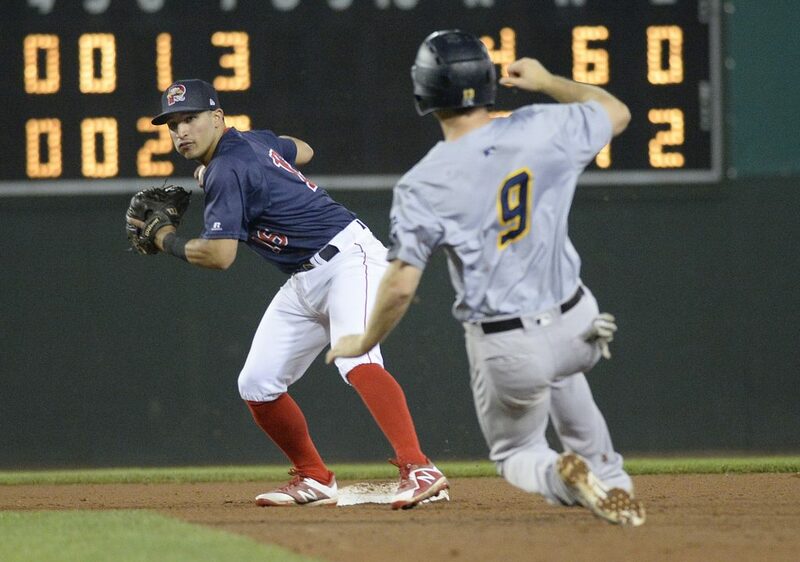 Portland’s Josh Taylor allowed a leadoff single in the ninth but held on for his fifth save. NOTES: Rodriguez has been on Boston’s disabled list since he injured his ankle July 14, putting a pause in a solid year (11-3, 3.44 ERA). He threw a 47-pitch simulated game on Wednesday, and reports are that he will make a rehab appearance Monday. 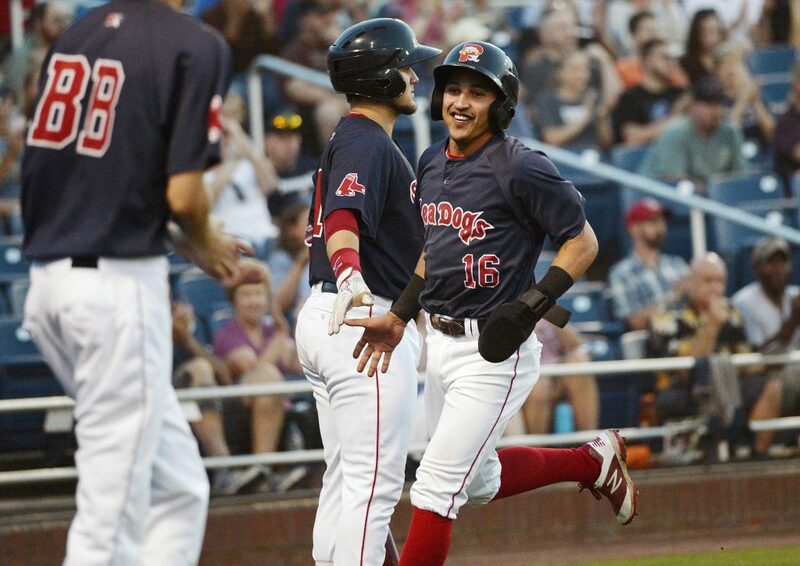 Triple-A Pawtucket is off Monday, but the Sea Dogs play host to New Hampshire at 7 p.m. … The Sea Dogs have not announced their 2019 schedule, but Portland apparently will open at home against the Reading Fightin’ Phils on April 4.